Every family has own livestock animals. Most of people don't use the money to buy something so the goods’ price is getting high. The local people's need is simple. They use some goods such as flour, meat and dairy products and barter the goods. For example, they barter one sheep for 75 kg flour. [..] There is no other stores in the center of soum so local people never hesitate to barter the goods. Every family has some kind of vehicles such as Russian UAZ 3469 and motorcycles and some kind of technologies such as solar panels and aerials. In the past two decades Mongolia saw a rapid investment in mineral resources mining sector. The foreign companies are eying on Mongolian natural resources and the “world politic and business leaders see Mongolia as ‘money’ totally” – as Otgonsuren Jargal, the chief editor of Nomad Green informs. She asks: is there ANY interesting thing except mining in Mongolia? in the last 20 years Japan provided much help and support to our country, which is considered as a way to get to our mining resources. So Government's position is that Japanese will be main country to co-operate in the uranium filed. Otherwise in return of help during last years it is possible that our uranium mining license would be given. Such talk has been held between government officials of the two countries. The result of a recent investigation shows that Ashang River from Russia is polluted and the river water is pouring into Onon River. 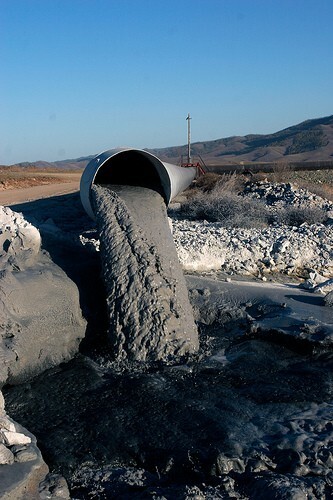 [..] This river has been polluted by disastrous mining activity in the region of Kirin in the Inner Baikal of the Russia according to garrison army and local communities. Ganaaer talks about the stinking mud generated from stagnant rain water, which is irritating the residents in Ger district in Ulaanbaatar. The blogger talked to a resident who said that the authorities are not paying heeds to this problem and the solution is buying and applying sand or soil – which they cannot afford. 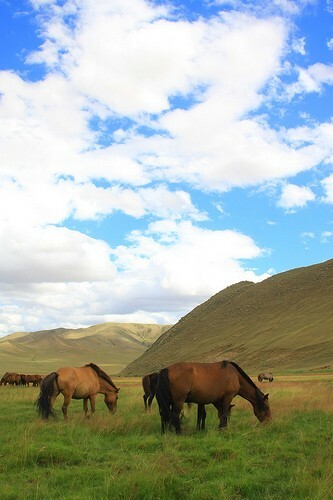 Erdenbayar T. informs that the goat herding has risen in Mongolia (from 19% in 1990 to 44% in 2010 of the total livestock in the country – 42 million at present). So why is it bad? It rapidly debilitates pasture quality. The scientists remind that the goat is a harmful animal for the pasture, keeping such a huge amount of goat is bringing certain negative effects. But herders have been breeding more in order (to) subsist their family livelihood by (selling) it’s cashmere. Year by year, grazing capacity keeps diminishing and some places are facing desertification gustily. Two decades ago 10 percent of Mongolian territory was covered by forest. Nowadays forest decreases to only 5-6 percent of total territory because of the theft of wood and fire. There are central wood markets in every district of Ulaanbaatar. There are 3 wood markets in the Baganuur district. The wood is sold illegally there. Every person talks about the desertification, air pollution and drying water in Mongolia. It is sad that they don’t do any things to combat these issues. But she is optimistic that the environmental activists can lead the way to the future in tackling these issues. Read more posts of the Nomad Green Bloggers to learn about their concerns and struggles.